The Welsh star won the -67kg Word Grand Prix final on Friday while fellow Welsh fighter Jones won the -57kg category the following day. Jones is just winning her first title this year but she says Williams has been a big boost to the strength of the British team. Williams was a two time world champ in the junior category but she has started firming up her stance in the senior category. “Lauren’s going from strength to strength and is such a great fighter. She’s already beating some of the best out there and is going to continue improving and be one of the greatest fighters in her division,” Jones said. She praised the relentless and fearless spirit of Williams. Jones adds that the commitment and determination of Williams makes her one of the fighters to look out for in the future. The Grand Prix winner describes the series of events as “surreal” and adds that replays shows she can do better. 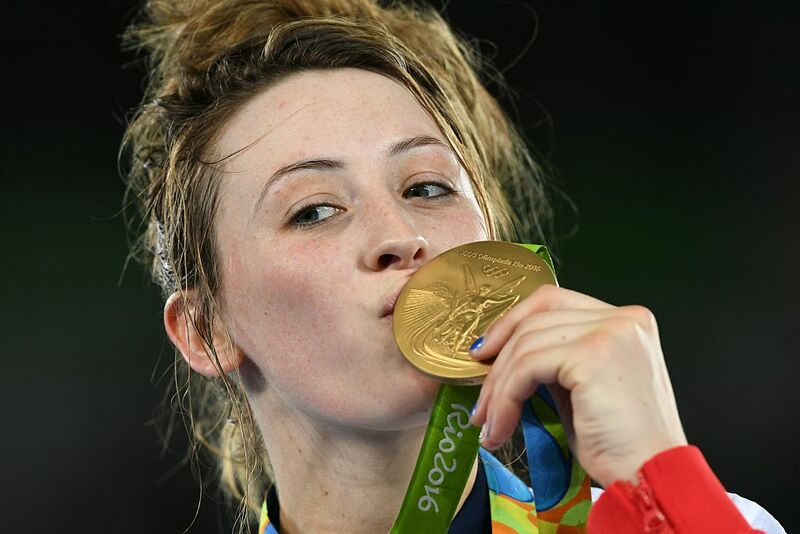 She plans to improve on her performance despite winning gold, adding that she wants to become Olympic champ in 2020 alongside Jones. Williams, Jones and Bianca Walkdenhad gold while BradlySinden and Mahama Cho finished with silver and bronze medals to make London 2017 the most successful World Taekwondo Grand Prixfor Britain. The performance director Gary Hall is content with the results even though he hopes the fighters can improve.